I must have laughed a hundred times during the session with this family. They were troopers as we had to work in (and around) a little rain. The humidity didn't make the weather much more enjoyable, nobody complained, and I think it's safe to say that we all had fun. Jami's family is so beautiful! To book a family session in Bradenton, or surrounding areas such as Sarasota, Palmetto, Brandon, St. Pete, Dunedin, Tampa.. and more, please contact me. Getting to photograph dear friends is the best. Lauren and I have been friends for ten years (!!!). I've had the pleasure of watching her become an amazing teacher, a loving wife, and a dedicated mother. Being able to photograph her family made my week. Fun fact: I introduced these two lovebirds when Michael and I worked together a few years ago, and, well...the rest is history. He also introduced me and my husband! Here are a few from their recent family session! With the holidays and the end of the year approaching, it's the perfect time to book a family session! To book a family session in Bradenton, or surrounding areas such as Sarasota, Palmetto, Brandon, St. Pete, Dunedin, Tampa.. and more, please contact me. To see more images of lovely families, and also for updates about what's happening at Petal & Vine, be sure to follow our Facebook Page. I had the pleasure of photographing this sweet couple's wedding last year. I was extremely excited that they asked me to take maternity photos for them, as they await the arrival of their second child this fall. The Florida heat couldn't keep us down, and I loved capturing moments of their family together. 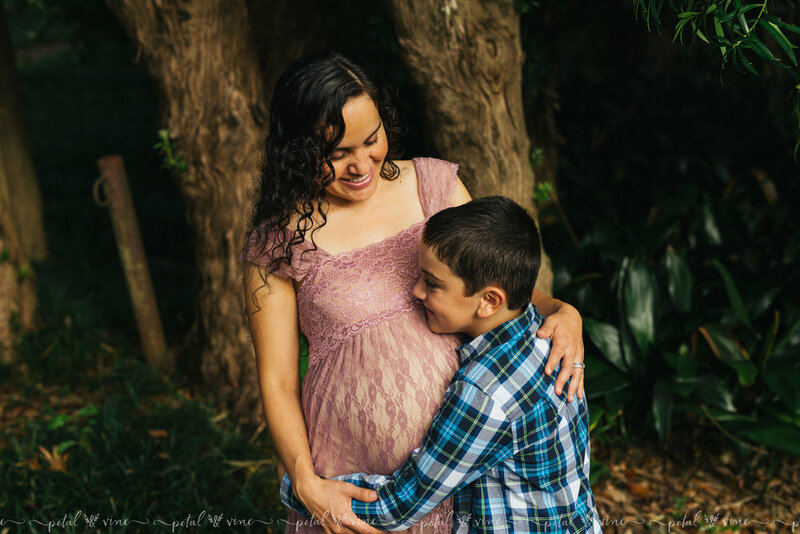 If you're interested in booking a maternity and or family session, in Lake Wales, Lakeland, Winter Haven,... or surrounding areas such as... Tampa, St Pete, Auburndale, Orlando, and more. Please take a moment to contact Petal & Vine Photography.